Chakras are the seven spinning energy centers of the human body that control every dimension of our physical, mental, and spiritual well-being. Now, Anodea Judith one of the country s foremost experts on the therapeutic use of the chakra system gives access to this subtle energy matrix, opening a powerful path for healing and spiritual growth with a complete chakra wellness kit: Chakra Balancing. 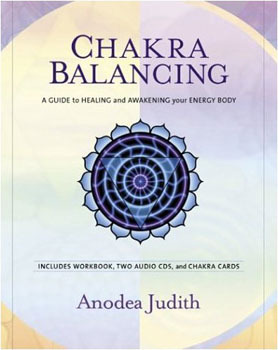 Anodea Judith begins with a journey through each of the chakras, where listeners discover their purpose, imbalances, and strengths and learn how to fine-tune their energies for health and awakening.